There are kids who resemble one parent or another, and kids who might as well be a clone of a family member who came before them. 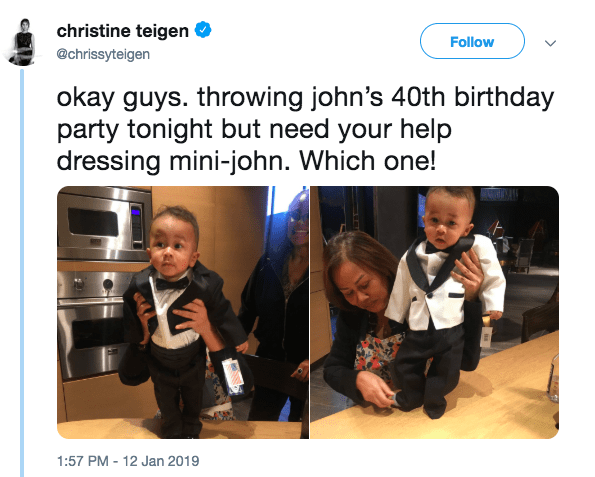 Chrissy Teigen and John Legend’s son Miles for sure falls into the latter category, a fact that was easy enough to see before she went and put him in a couple of tuxedos. She’s trying to decide between Miles in a black suit and Miles in a white suit – both of which his father has worn in public – and there’s absolutely no denying that child’s parentage. Not that anyone wants to. 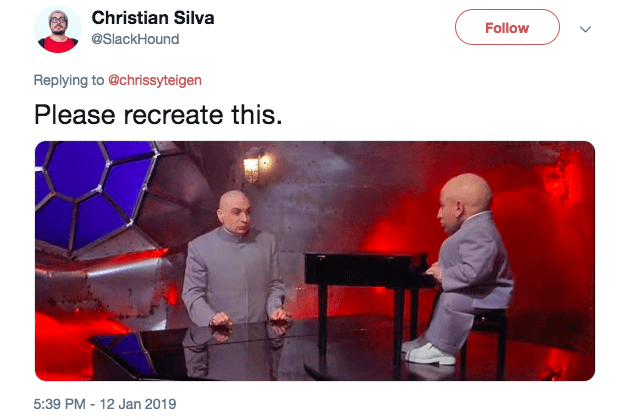 The post is adorable but for real, the Internet’s responses were the best part. If you’re interested, the winner is…. I’d go with the change halfway through, but that’s me.